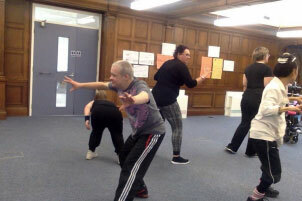 Jonathan Rodman aged 35 from Chorley loves to attend DanceSyndrome’s community dance workshop in Hindley. 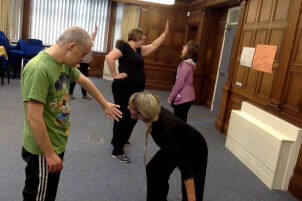 He often leads the dancing along with Dance Leader Jen and Dance Artist Donna and as such has enrolled this year on DanceSyndrome’s Dance By Example training course in Preston, to learn how to co-deliver community dance workshops. Jonathan has Down’s syndrome and is supported by Carole. 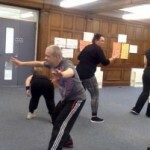 “I have been attending DanceSyndrome for a while now and I love going. I have grown in confidence and love being asked to help out with Donna and Jen. I enjoy myself so much that I am now training to be a Dance Leader. 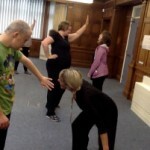 I have made new friends, I am good friends with Jen, I look forward to going every week. I think it is fun and a good way to do exercise and I have stayed the same weight even though I can eat more. I have also got muscles on my legs now through exercise”.